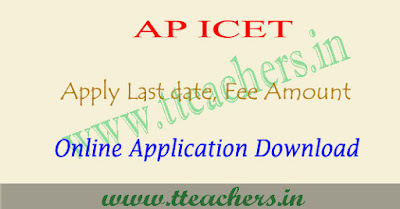 AP ICET 2019 application form, ap icet apply online : AP ICET 2019 application form has been released in the month of March 2019. Sri Venkateswara University, Tirupati conducts icet entrance test for admission into the Master of Business Administration (MBA) and Master of Computer Applications (MCA) programmes in University colleges and their affiliated colleges for the academic year 2019-2020. Candidates seeking admission in M.B.A. and M.C.A. courses may apply to this icet 2019.Here we have to given more information about AP ICET application form 2019 through this article. Candidates who want to apply to AP ICET 2019 can fill the ts icet application form 2019 from March 2019. The application form available till April 2019 (upto 5:00 PM). Students can fill the application form through official website. Candidates can also visit the nearest centres for filling the online application form. Candidates can visit the nearest helpline centre along with application fee. How to apply : The candidates who satisfy eligibility criteria can apply for APICET-2019 through an online application in the web site www.sche.ap.gov.in/icet. APICET-2019 Applications should be submitted through ONLINE mode only. The Registration fee for online submission and late fee, if applicable, may submit their applications through online mode by paying the application registration and processing fee of Rs. 450/- through A.P. online centres/ payment gateway (Credit card / Debit card / Net banking). Fee details : AP ICET 2019 Registration fee of Rs 450/- for all candidates.